Every hunter loves a good challenge. And so does ALPS OutdoorZ. When it was time to design and manufacture the best packs on the market, ALPS didn’t take the challenge lightly. By using premium materials and components, extremely adjustable and comfortable suspension systems, and design features that support your hunting activities, you could say that ALPS has hit the bull’s-eye with this new pack line. The packs have been tested, used and abused, modified, and put back to the test again to bring consumers a pack that is reliable, durable, and practical. The new EXTREME line will feature 4 new pack designs for Fall 2015, all utilizing molded-foam suspension components. The Crossfire X is a 2325 cubic inch vented-back day pack that can carry a bow or a rifle and has plenty of pockets for keeping your must-have gear accessible. The Pursuit X is a 2700 cubic inch mid-sized internal frame pack featuring an innovative fold-open gear shelf as well as a convenient tree hanging system. The Traverse X is a larger 2900 cubic inch internal frame pack with a stow-away meat shelf, fleece-lined side wing pockets for optics, and carry systems for a bow, rifle, and handgun. The Commander X internal frame system gives you the option to include a packbag or to use the frame and lashing system alone, which only weighs around 5 pounds. Carrying heavy loads is made easy and comfortable with the adjustable molded foam suspension and a unique frame system, which features dual aluminum stays integrated into a channeled high-density PE framesheet. To view each pack and their features individually, please visit, http://www.alpsbrands.com/media/extreme. 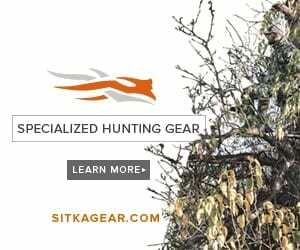 The EXTREME packs aren’t only practical, durable, and aesthetically appealing, but they’ve been used and abused by hunters in regions all across the US to ensure that they really are the best choice on the market.